My name is Danielle Garno. I currently live in Miami Beach, Florida with my husband (also a lawyer) and my four beautiful daughters (ages 10, 6 and 5 year old twins). I went to college at the University of Miami (Florida) and attended Pepperdine School of Law in Malibu, California. I am a litigator by training, but several years ago I started a fashion law practice at Greenberg Traurig. Greenberg Traurig, LLP (GT) has more than 2,000 attorneys and 38 offices in the United States, Latin America, Europe, Asia, and the Middle East. GT has been recognized for its philanthropic giving, was named the largest firm in the U.S by Law360 in 2017, and is among the Top 20 on the 2018 AmLaw 100. Web://www.gtlaw.com Twitter: @GT_Law. ▪What lead to your vast interest in fashion and law? When I was a young associate working in GT’s Los Angeles office, I worked on a lot of anti-counterfeiting cases for luxury fashion and accessory brands. It was at that point that I realized that I could have a legal career working in an industry that I loved, which is fashion. ▪ What is fashion law to you? What makes fashion law special to you? 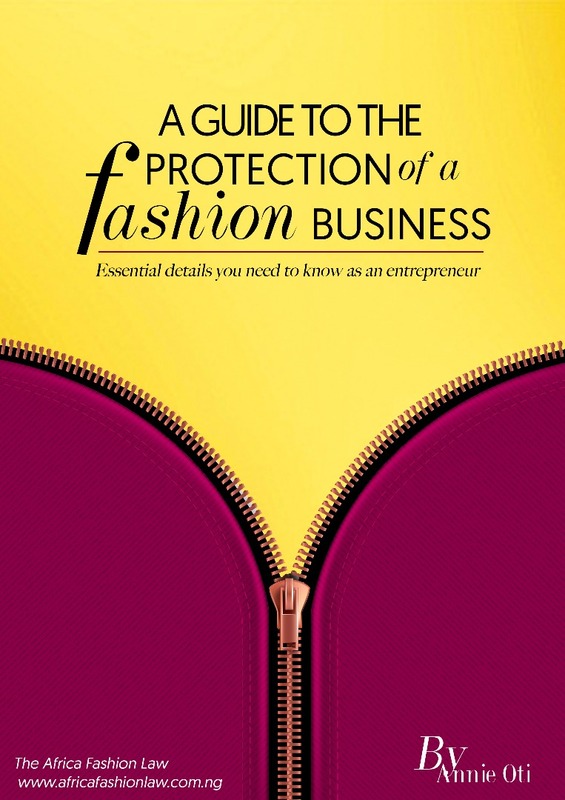 Fashion law is an industry practice that focuses on all areas of the law that are specific or unique to the fashion industry. In order to best serve my clients, it’s important for me to understand their specific business and how they operate. Obviously, not all companies operate the same way or are in the same stage of business development, so a start-up may have different legal issues to address than a multi-national retailer. Fashion law is special to me because I often get to work with creatives who are so passionate about their designs and creations, it’s inspiring to me. My job is to help them navigate the legal and sometimes business risks that they might not be aware of. 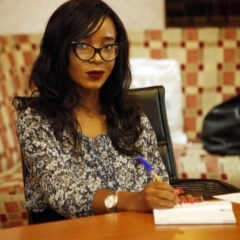 ▪ The legal issues faced by designers in relations to intellectual property law is really different from other creative works, how do you think the law can cater for designers in the fashion industry? Unfortunately, the intellectual property laws in the U,S, are not all that favorable to fashion designers. Clothes are considered functional. It doesn’t matter if it’s a $5 sweater or a $5,000 sweater – its function is to keep you warm (and perhaps prevent you from a citation for indecent exposure). However, there are several ways to obtain intellectual property rights in designs (especially in accessories), so my recommendation would be to consult with an attorney in the outset of the design phase to determine if and how you can protect those rights in the designs. ▪ Several individuals in the fashion business do not see the importance of the law, what advise do you have for them? Why does a fashion brand need a fashion lawyer? I know that no one ever wants to hire a lawyer, but we can actually save you money in the long run (shocking, I know!) For example, if you are just starting out as a fashion brand, it’s smart to hire a lawyer to run a comprehensive search on the brand name that you want to use to make sure that you are not infringing on someone else’s intellectual property rights. The last thing a new brand can afford is to have to change its name after spending money on a website, marketing materials, tags, and other items, or even worse, spend its capital defending an infringement lawsuit. Similarly, a lawyer can make sure that a company’s employees are properly classified as such under U.S. labor laws. If this is done incorrectly, there can be significant fines and penalties, especially in such states as California. There are so many examples where we can help a designer or brand avoid legal pitfalls so that they can concentrate their efforts on what they do best – be creative! 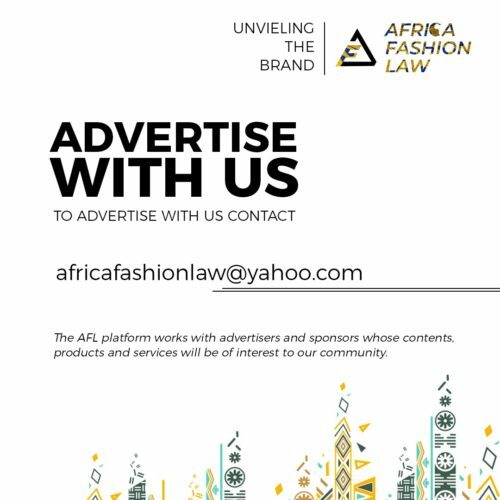 ▪ What advise do you have for young lawyers interested in the fashion law practice? First and foremost, I suggest they become a good technical lawyer in whatever practice area they choose – IP, litigation, corporate, labor & employment, etc. Then figure out where your clients are – what trade groups are they involved in? What events to they attend? And then find a way to get involved in those groups or organizations and network. Finally, become a thought leader in the fashion law space – write articles, speak on panels, and look for opportunities. Essentially, do it all! 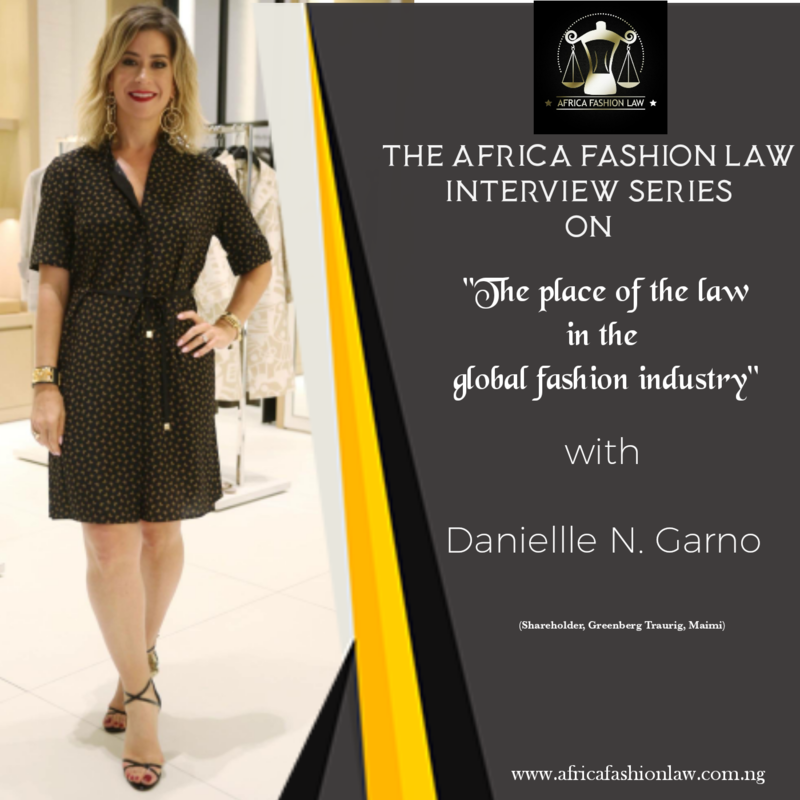 ▪What is the place of the law in the global fashion industry? What people don’t realize is how essential the law is to ensure that the global fashion industry operates ethically. For example, the enforcement of anti-counterfeiting laws help curb criminal behavior such as terrorism, child labor violations and human rights violations. Anti-bribery and anti-corruption laws are essential to level the playing field for companies who act ethically. ▪What value does the law have to offer to the fashion industry?The law has tremendous value to the fashion industry – it provides intellectual property protection, regulates advertising so as not to be deceptive, prevents discrimination, and much more. Basically, laws ensure that the industry is run fairly and ethically. ▪Apart from the law, what other area of interest do you have? I love the health and fitness industry. My secret goal in life is to become a Soul Cycle instructor – those classes are so much fun and make me so happy. I’ve also met some of my best friends through group fitness classes. ▪What do you think the future holds for the global fashion industry ? Sustainability and the reduction of waste. Everyone is talking about it because there is so much data about the harm we are causing to the planet. I am seeing many brands with corporate initiatives in this area, it is so encouraging.